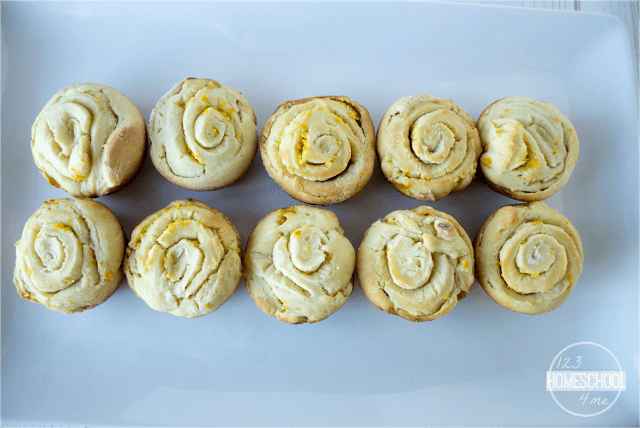 These delightful Heavenly Orange Rolls Recipe are bursting with flavor and perfect for breakfast or alongside Ham like we like to serve them. 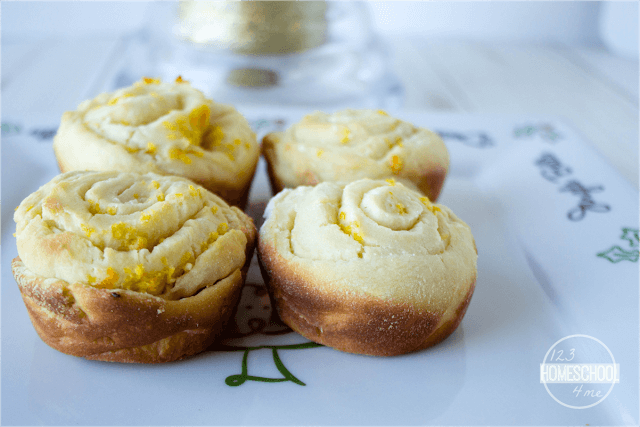 This Heavenly Orange Rolls Recipe is Christmas to me. My Dad use to make these for us for Christmas morning every year. We had them for breakfast with Strata and alongside the ham for Christmas dinner. The recipe my Dad used was passed down from his Grandma -it is a very old, tried-and-true recipe. These wonderful, bite size orange rolls are delicious. They smell as wonderfully orangy as they smell delicious. First mix up the dough by adding 3 tablespoons butter to 1 cup scalded and cooled milk. Next add 1/2 teaspoon salt, 3 tablespoons yeast, 1 cup sugar, 3 eggs, and 1 cup flour. Let rise for 45 minutes. Add 3 more cups flour and let it rise in a warm spot until it doubles again, about 1 hour. Stir down and let it rise another 2-3 hours in a warm place. 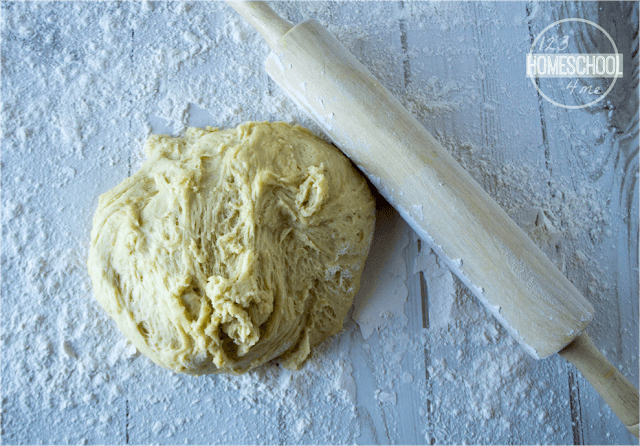 Roll out dough on a floured surface until it is very thin measuring about 12 x 16″. 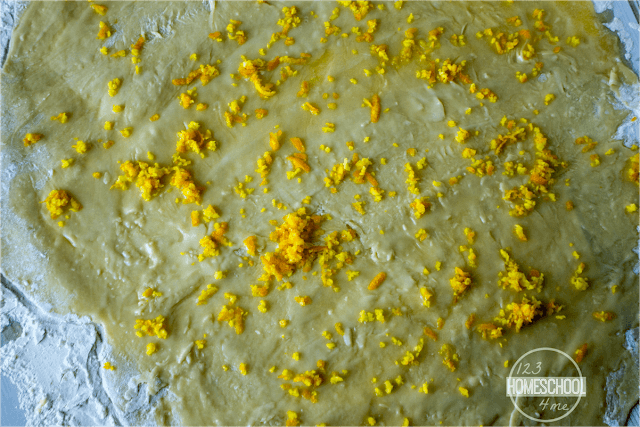 Spread with a thin layer of softened butter, sprinkle with sugar and orange peel you grated from 2 oranges. Roll tightly so there will be many layers of dough. 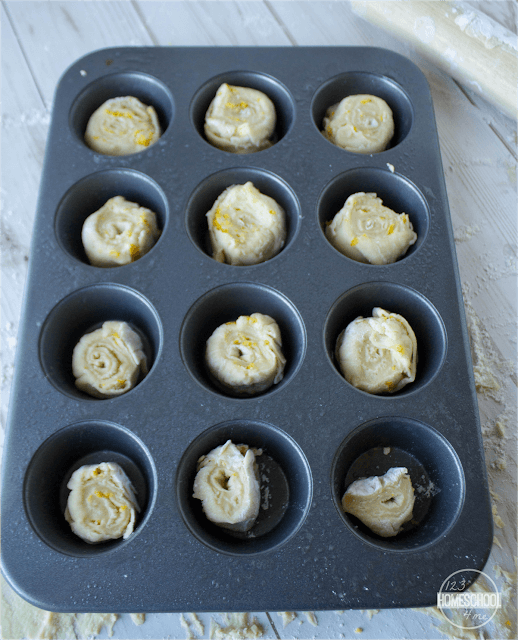 Cut in 1″ pieces and place in muffin tin. Bake for 12-15 minutes or until very lightly browned. Pull out of pan and serve immediately or store in airtight containers. These smell heavenly and taste even better! They are light and flavorful! 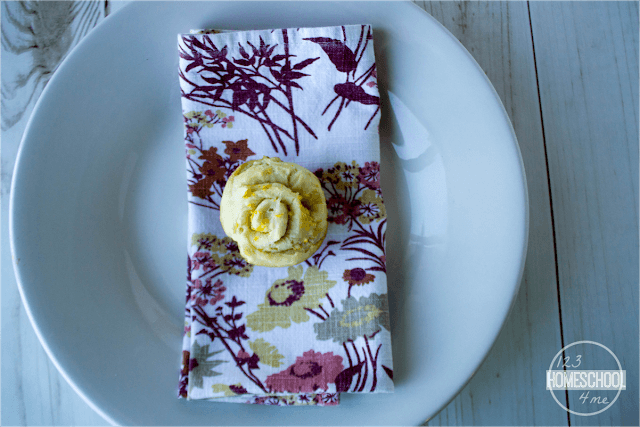 Unlike traditional cinnamon rolls that are suppose to get big, these dynamite little bites are tightly wound, bite-size rolls that are bursting with flavor. Add butter & salt to scalded milk; add eggs and sugar. When lukewarm add yeast. Add only 1 cup flour. Let rise 45 minutes. Add remaining flour & let rise until double in bulk (another hour). Stir down; do not knead; let rise 2-3 hours. Roll out until the dough is very thin on floured surface only adding as much flour as needed to not stick on the surface (it will be big like 12"x16"). Spread with softened butter then sprinkle with sugar/orange mixture. Roll up on the 12" side so that there are many, many layers to each roll and cut into small 1” pieces. Bake in muffin pans at 350 for 15 minutes. These will be small, tightly wound, delicious bits of heaven!